WHAT IS THE SPIRIT GROWING IN YOUR CORNER OF GOD’S VINEYARD? How do you describe your corner of God’s vineyard, and your church as God’s planting? Which branches are strong, bearing fruit? How can you cultivate your ministry, and where can you grow it for a more bountiful harvest? 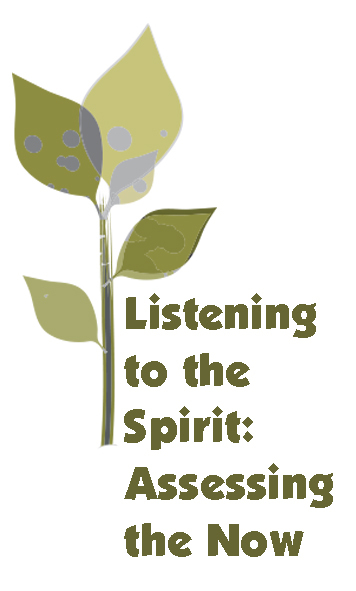 The great value of Listening to the Spirit is that it helps us use our analytical minds, while remaining open to the Spirit. And all of that comes together in the conversation. It’s about the conversation. Download Introduction and Overview containing this page’s details along with an overview of the “10 categories” addressed in the survey and discussion. Make copies and share with your leadership team. Once purchased you will receive access to download these tools: Access to Online Survey, Instructions for completing the survey, Spiritual practice, Design for discussion meeting, and Facilitation instructions.